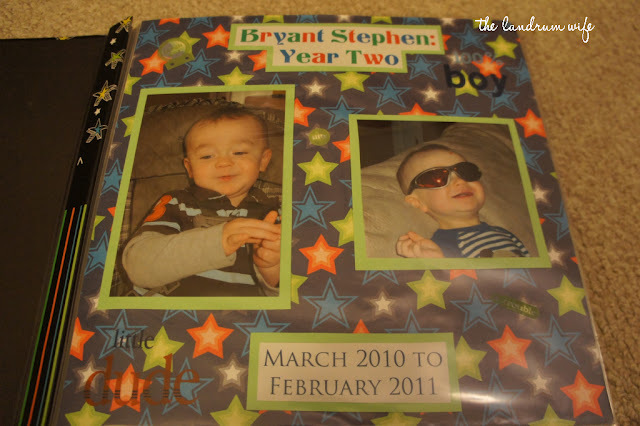 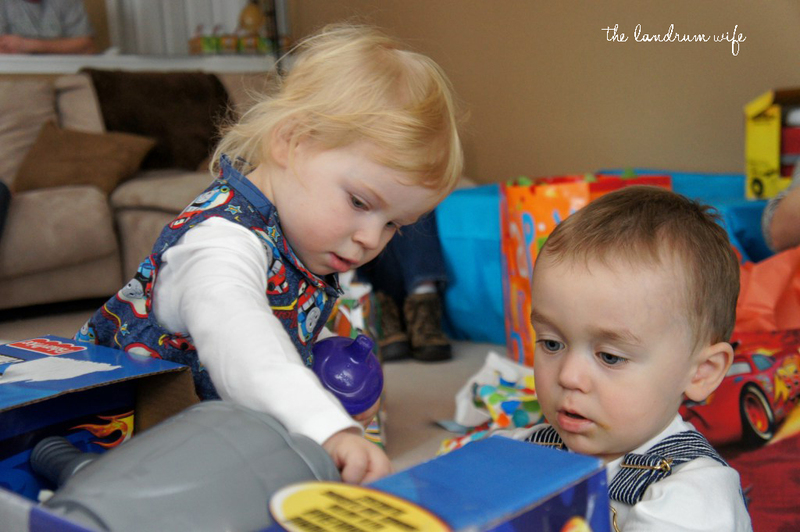 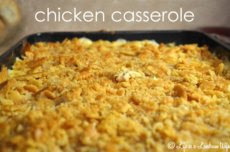 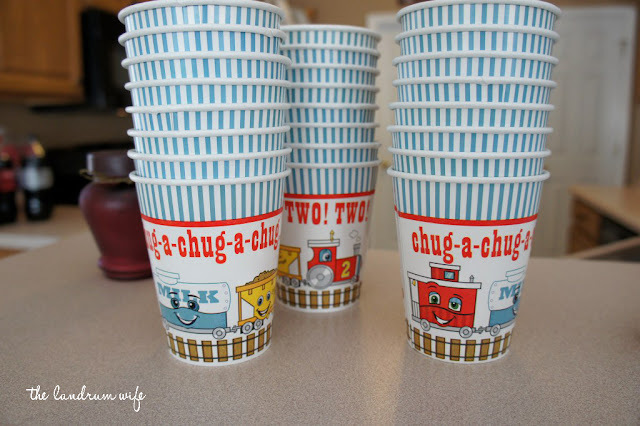 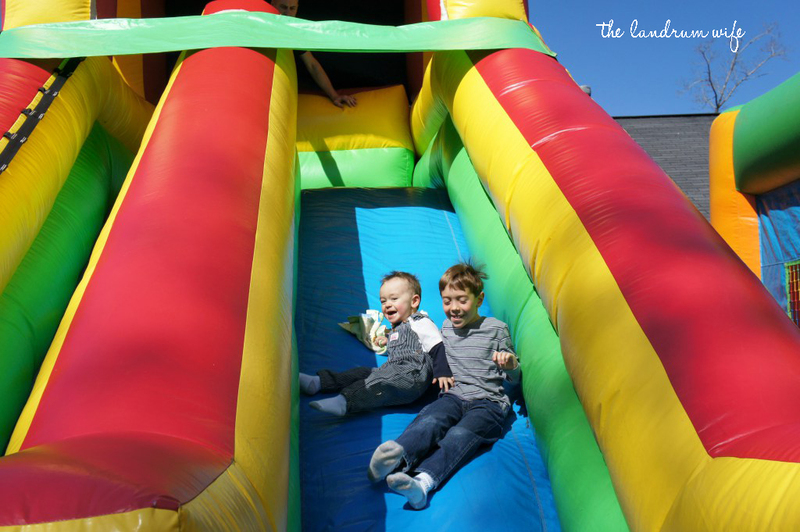 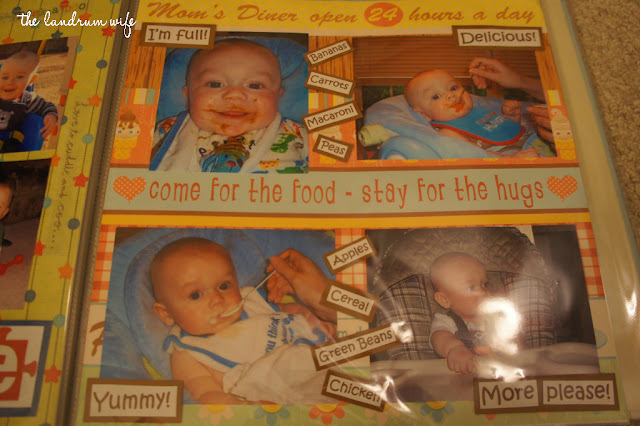 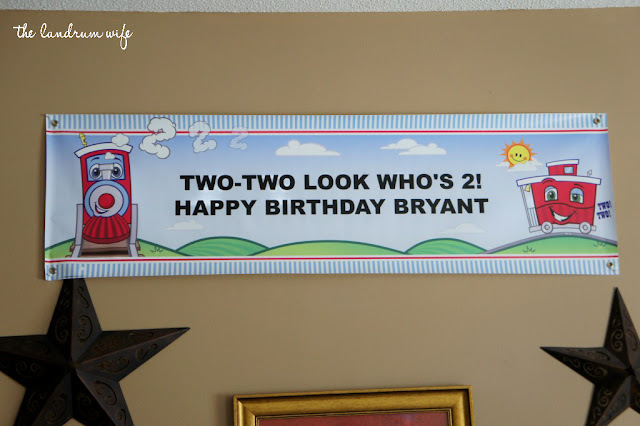 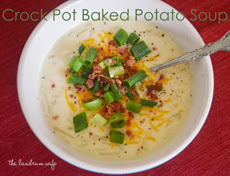 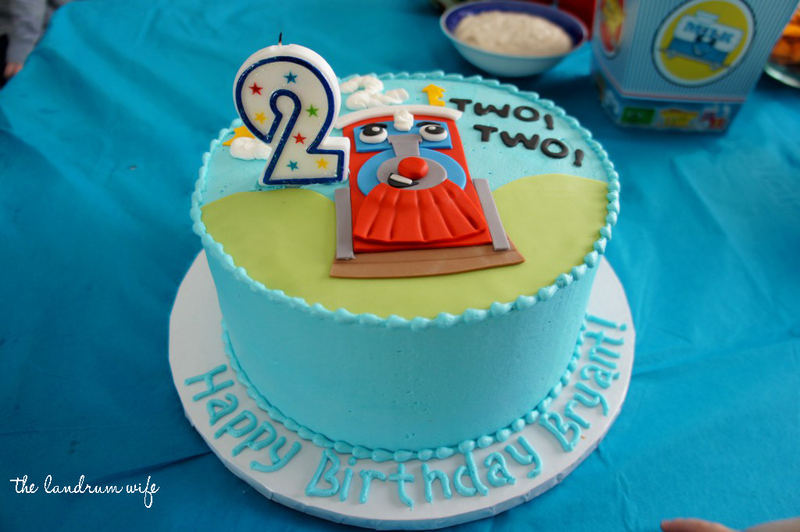 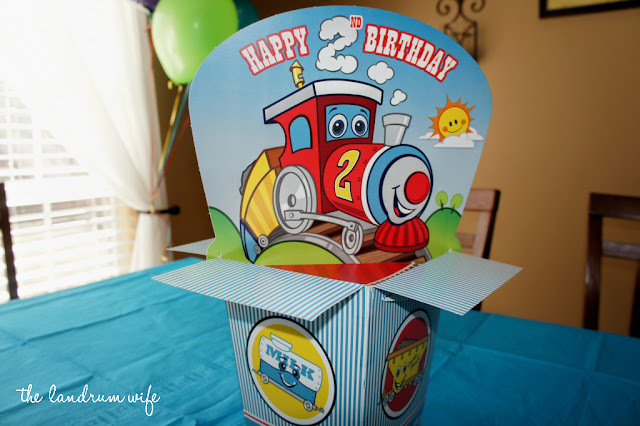 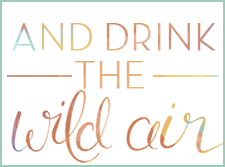 The Landrum Wife: Bryant's 2nd Birthday Party - Two, Two! 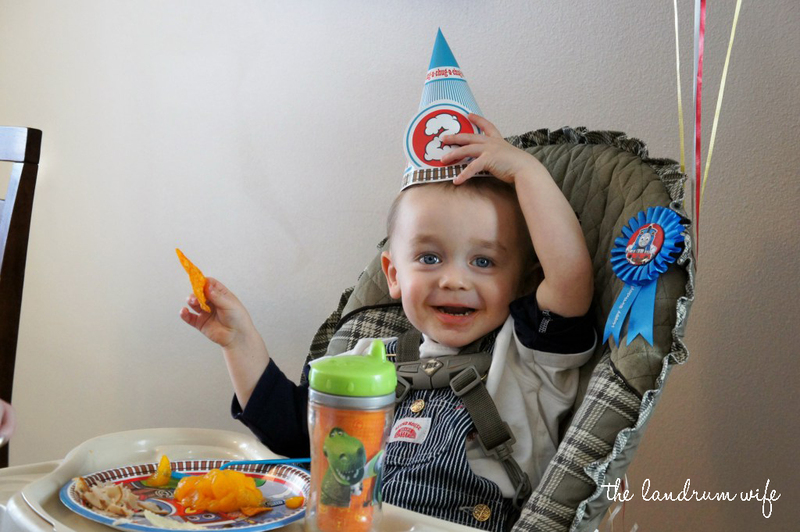 Bryant's 2nd Birthday Party - Two, Two! 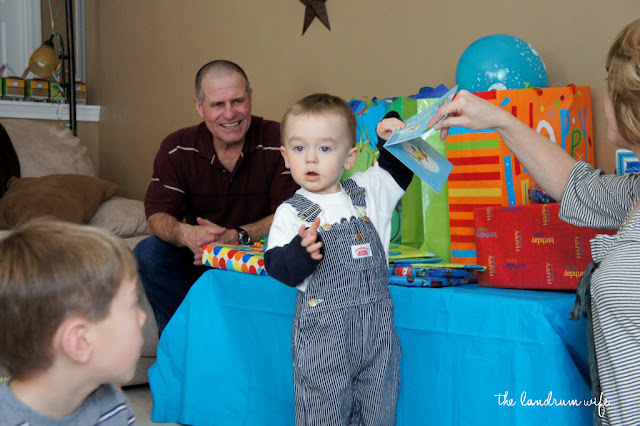 A couple of weekends ago, my family celebrated my little nephew Bryant's second birthday with a fun-filled day of cake, presents, and a jumpy-jump! 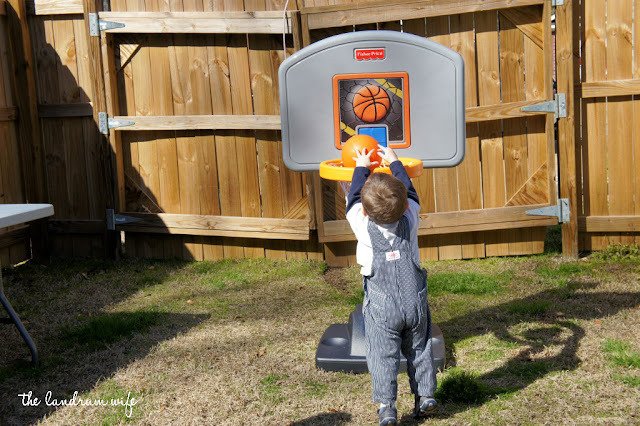 After a little while of goofing around (and coincidentally allowing enough time for the rest of the guests to arrive) Bryant got to play around with a couple of his big presents -- a Power Wheels Gator vehicle and a basketball goal! Our little driver! 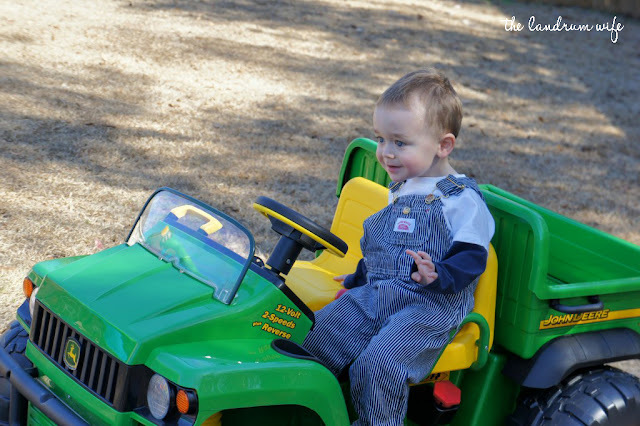 He understood how to press the pedal but steering was another story! After watching Bryant play with his new toys (and watching some of the adults play on the slide!) we went back inside to watch him blow out his birthday cake candles and get a little piece of the adorable confection. 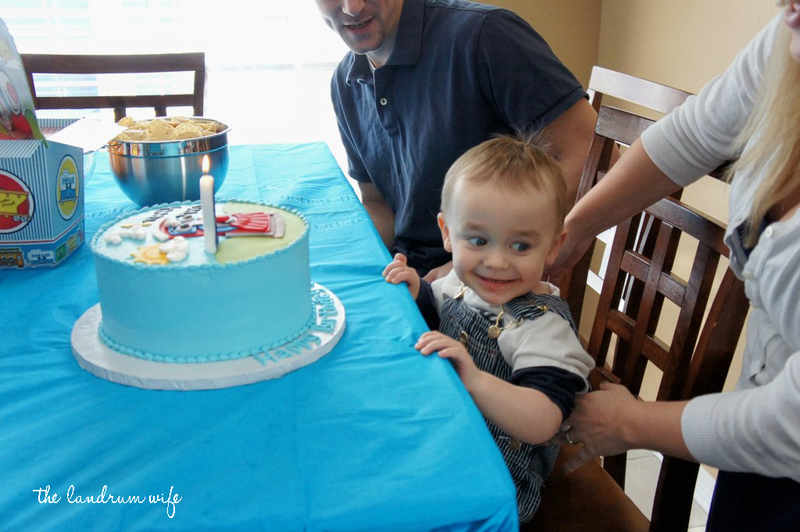 Love his face in this one. 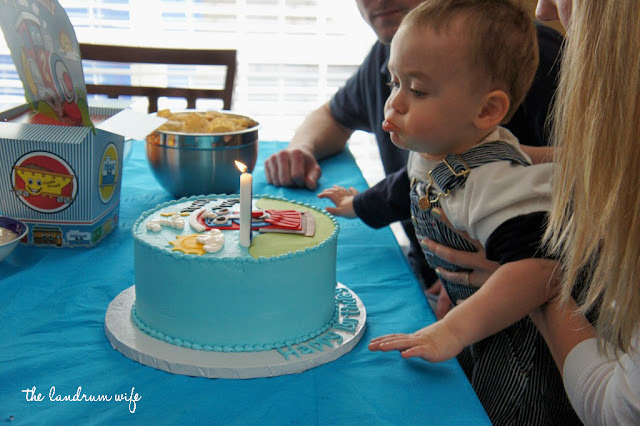 He is dying to get to that cake! 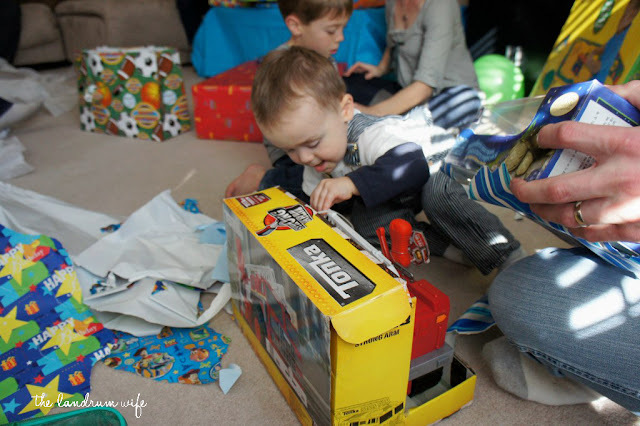 A little while later, Bryant and his dad tackled the pile of presents and investigated what was in each box and envelope. 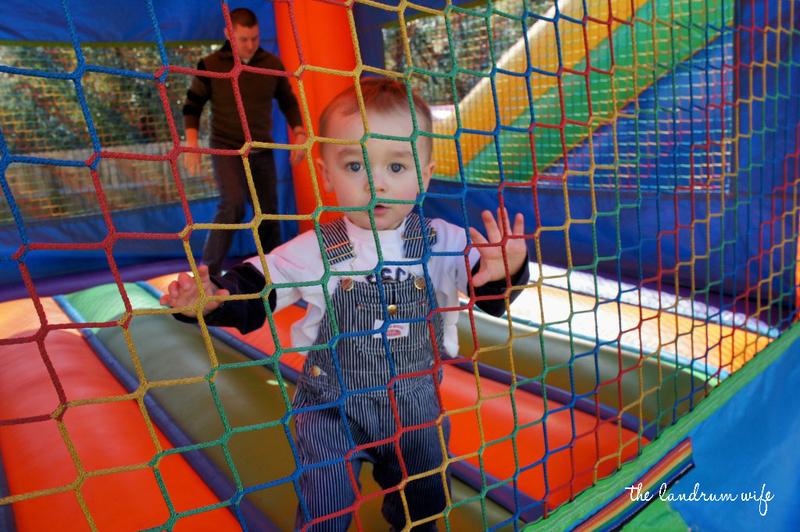 I'm pretty sure he was getting exhausted around this time, so my SIL and her mom kept him inside the house while the rest of the family ran outside to play dodgeball on the slide, haha. Well, I didn't play for fear of breaking my beloved camera, but I laughed every time one of the boys got hit or shocked! 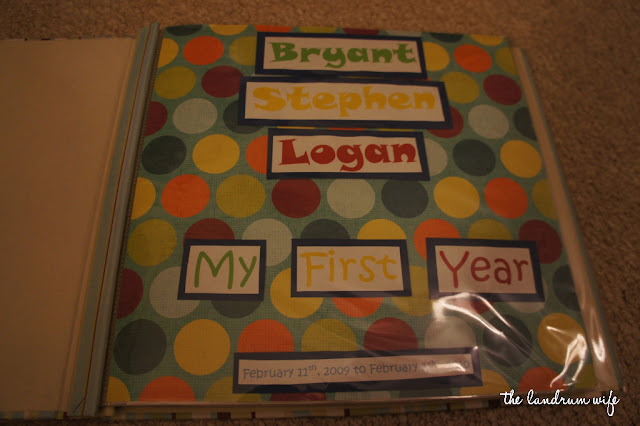 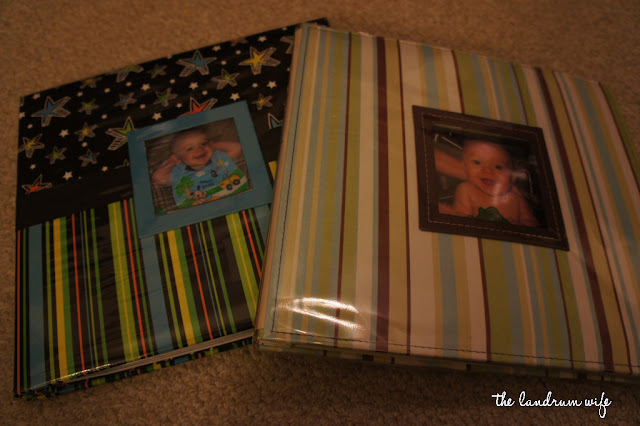 I didn't get a picture of it at the party for some reason, but my and Mr. L's present to Bryant this year was a scrapbook chronicling this past year of his life. 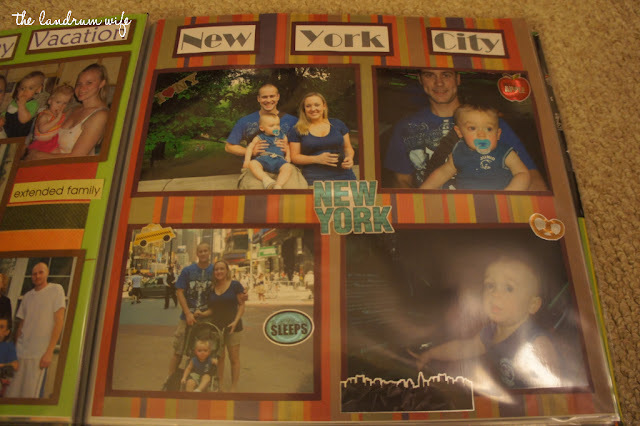 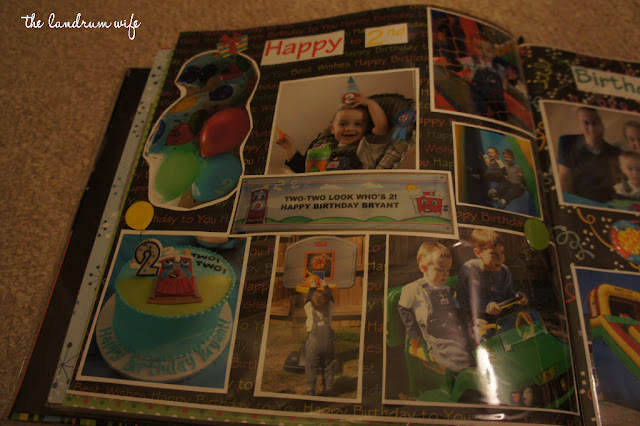 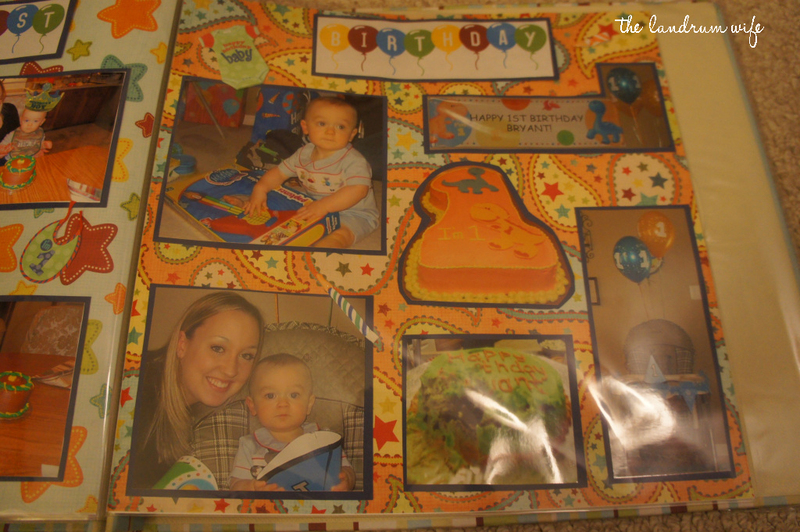 For his first birthday, I also made a scrapbook for him, and I hope that I'll be able to continue on with this tradition as the years pass. I might not have it in me to do it for every niece or nephew I'm blessed with, but I will be trying my best to do it at least for Bryant on every birthday.